Focusing on the world of wines, beer, and spirits that we experience through our travels at WineCompass.com and theCompass Craft Beverage Finder. 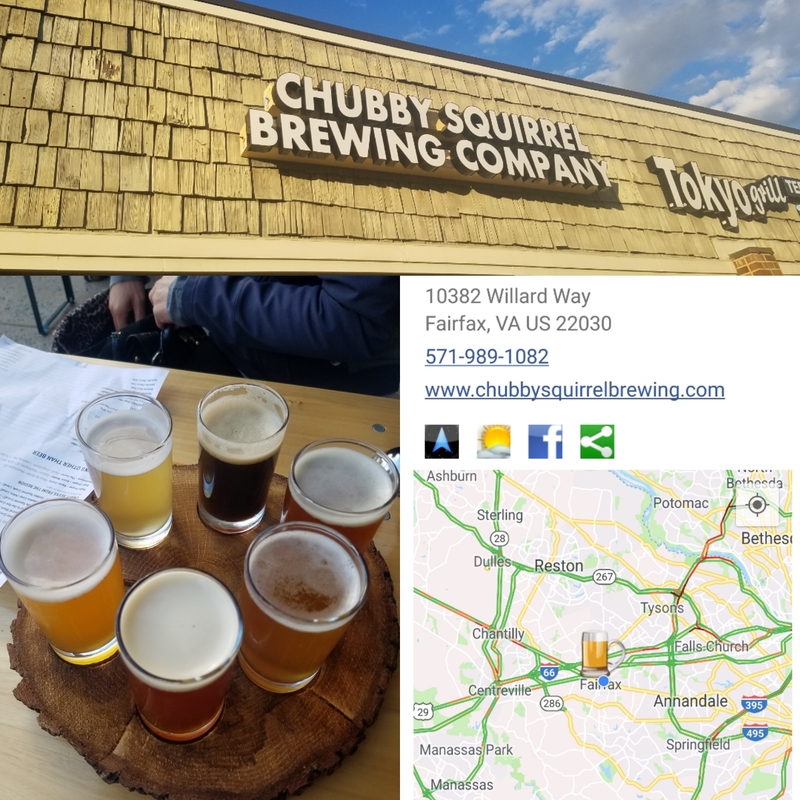 There are nine craft breweries within Fairfax County with the newest finally populating Fairfax City: Chubby Squirrel Brewing Co.. This facility is located quite close to George Mason University and owners Boyd Harrison and Josh Paine plan to accommodate the thirsts of both age appropriate students and local residents. They also offer an interesting mix of brewpub cuisine such as wings, pierogies, poutine, sliders, and fries as well as wine and cider for those inclined. Bu craft beer is the main attraction and out of the gate Chubby Squirrel created a diverse and tasty portfolio. 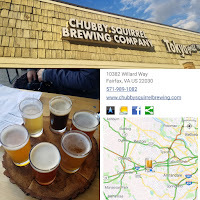 On our visit the lineup consisted of Hefeweizen, WereSquirrel Black IPA, Squirrel In the Rye, Blonde Squirrel Blonde Ale, Pumpkin Eater (Nitro) Pumpkin - Yam Beer, Golden Squirrel (Cask) Belgian Tripel. The blonde, rye, and tripel were our favorites, but in general all were respectful for their styles and worth a taste. And as always theCompass Craft Beverage Finder will guide you there. Cheers. NOTE: theCompass is not yet available for the iPhone 11 iOS and iPhones 5S and greater.